Home body cancer health health news health woman natural ovarian cancer remedy SILENT KILLER 6 Early Signs Of The Silent Killer – Ovarian Cancer You Shouldn’t Ignore! 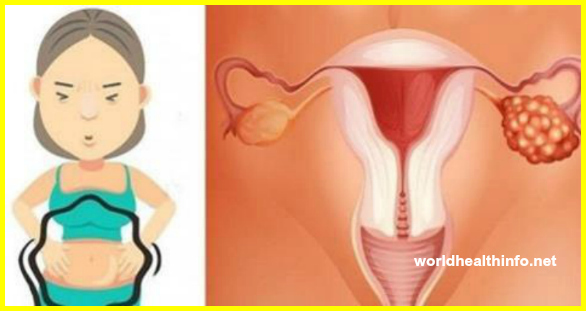 6 Early Signs Of The Silent Killer – Ovarian Cancer You Shouldn’t Ignore! It is estimated that in America, about 14 000 women will die and even 22 000 will be diagnosed with ovarian cancer this year. Unfortunately, in most cases people realize that have problem when is too late. The reason for that is because most of them aren’t aware of the symptoms and danger of ovarian cancer. Ovaries are the tiny glands where ovarian cancer starts and in most cases it spreads to the rest of the reproductive system. Epithellial ovarian tumor it she most common type of tumor found on the ovaries. The tumors that are related actually are divided into 3 sub groups: malignant ovarian tumors, LPM tumors, low malignant potential and benign epitelial tumors. According to statistical data, the most common form of ovarian cancers is malignant epithelial ovarian tumor. The signs and symptoms of this type of cancer mostly are missed by both the doctors and patients and are commonly attributed and overlooked to other less harmful health issues. Increase urination is sign of ovarian cancer because bladder is pushed up by the fluid that build up causing swelling. That is the reason why the women with this type of cancer go to the toilet frequently. This sign is usually attributed to bladder disorders. Chronic and persistent pain in the pelvis or abdomen probably the clearest symptom that something is not good. This is a sign for both ovarian cysts and ovarian cancer. If you have that doesn’t go away after a few days have to be taken seriously. Swelling occurs when we have fluid trapped in the abdominal cavity. Over time, as the disease progresses, this symptom occurs. It is very important to keep track of your overall health and also compare this sign to any of the other symptoms below. There are different health problems that can be related to spotting. Ovarian cancer is one of them. If you have any abnormal bleeding, you should definitely visit your doctor. It is usually associated to reproductive problems. In some cases, symptom for ovarian cancer can be diarrhea, constipation or change in bowel movements. The reason for this can be from the pressure from fluid buildup or cancer has spread to the colon and affecting the area. Women who suffer from ovarian cancer have difficulty eating as much as usual and feel full faster. This happens because the hormones that control metabolism are disrupted by the cancer in this case. Some of the signs that are mentioned above can be attributed to another, and that is the main reason why this type of cancer usually is undiagnosed for long period of time. The woman in the video below explains: “It is better to safe than sorry”.